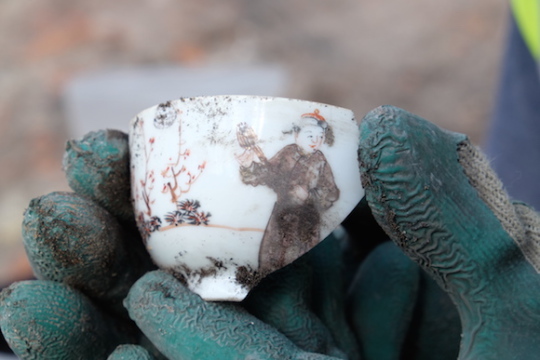 CITE AS: Flo Laino, "Photo Diary : April 2015," in 100 Minories, May 12, 2015, https://100minories.lparchaeology.com/photo-diary-april-2015/ [Date Accessed: April 23, 2019]. 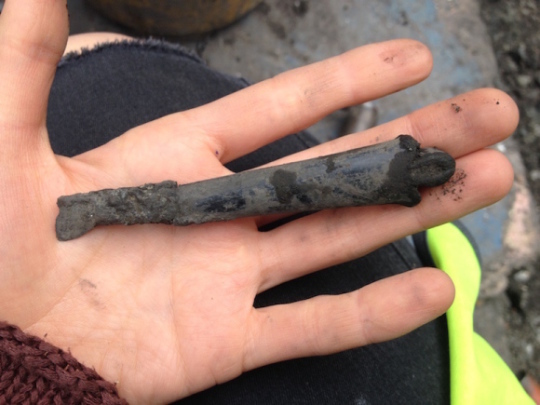 This month’s photo diary shows the final weeks of excavation in Area B, which starting at the beginning of the year with the Georgian buildings of the Crescent, has finished with some particularly spectacular findings from the excavation of the City Ditch. 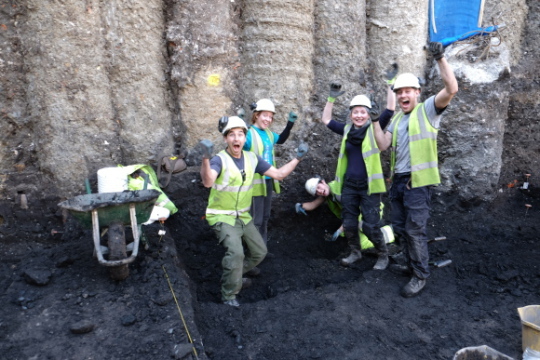 The team finally reaches ‘natural’ gravel, nearly 9 metres below present ground level, 20m east of the City Wall. 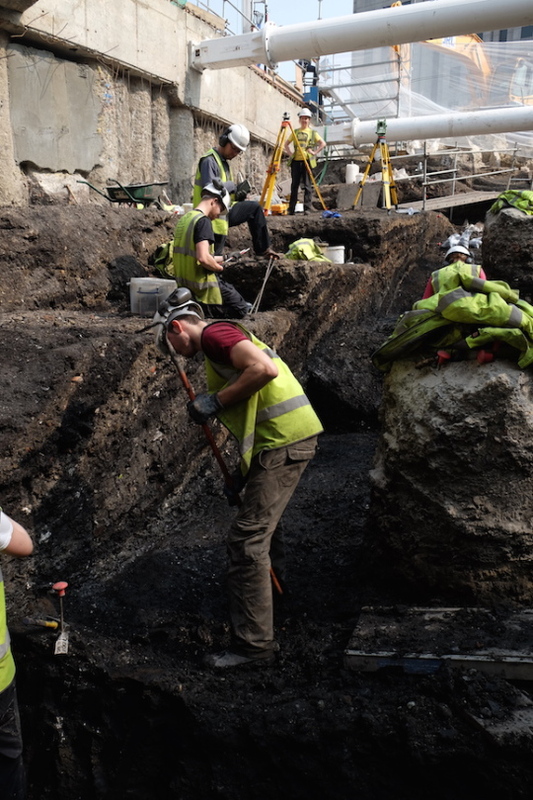 Faint golden flecks of natural gravel by the edge of the pile wall. 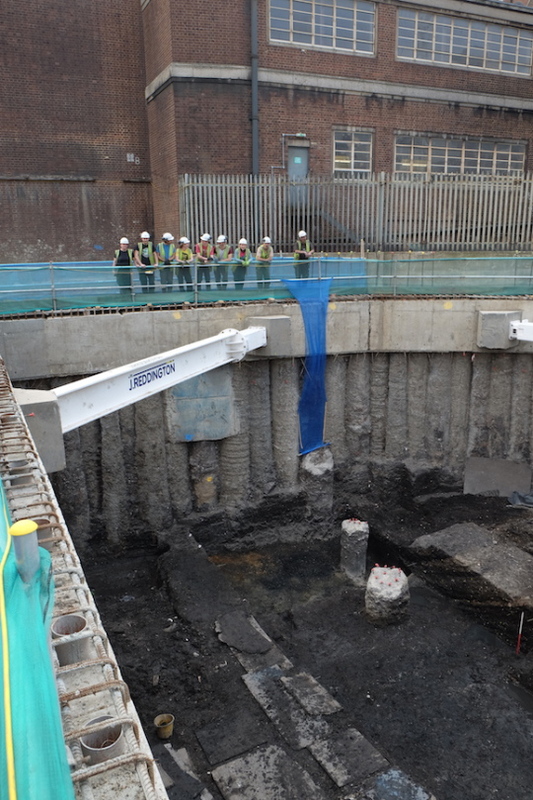 Having mostly hand excavated the entire depth shown – starting from the top here! 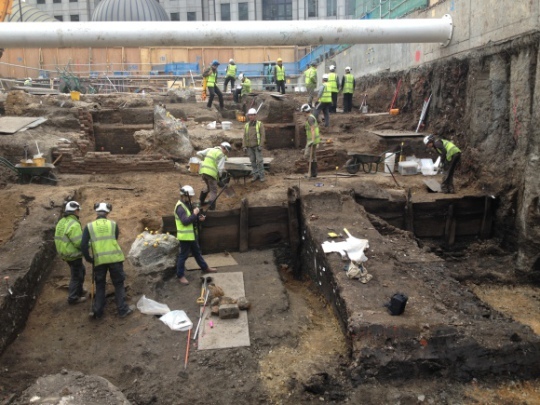 Excavating City Ditch backfills, deliberate infilling of the Ditch during the 17th century. 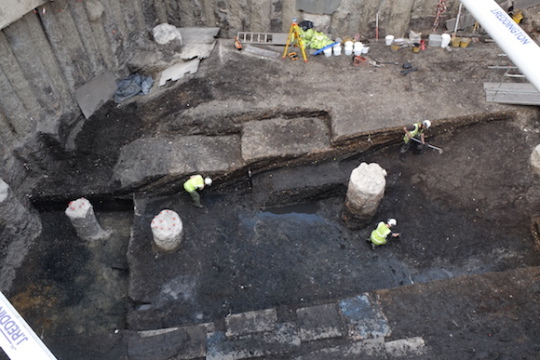 The stripey layers of ditch fills revealed a gargantuan Post-Medieval ditch that was scoured out and recut several times throughout its lifetime. 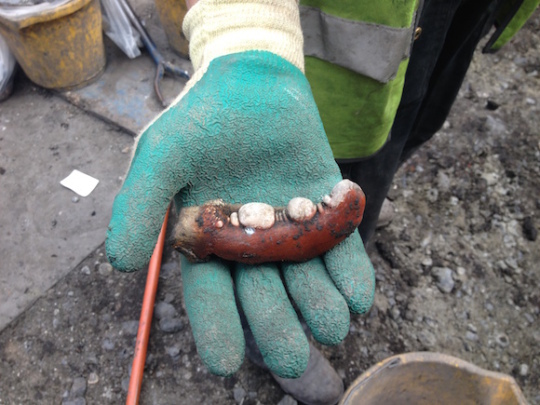 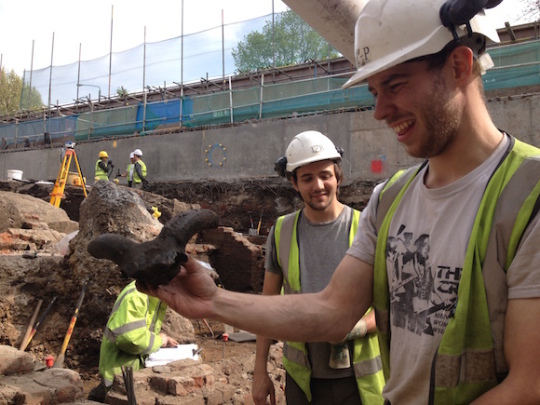 … To more of the unusual finds – a lobster claw from a Post-Medieval ditch fills. 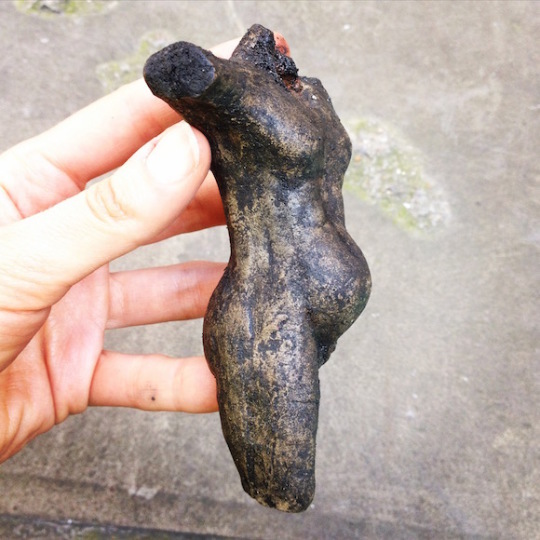 Small figurine with protruding abdomen. 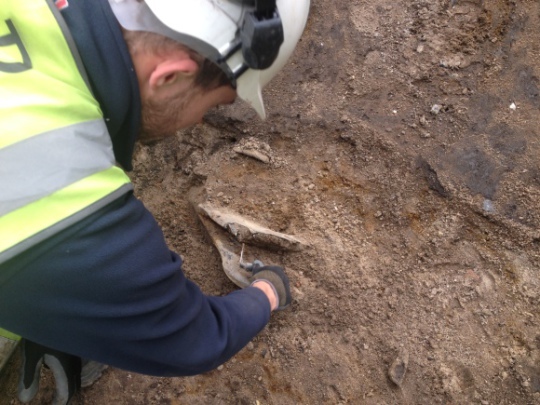 ‘the ditch without the walls of the city which of old times used to be open, always from time to time cleansed from filth and mud, as need required; of great breadth, and so deep , that divers, watering horses where they thought it shallowest, were drowned, both horse and man. 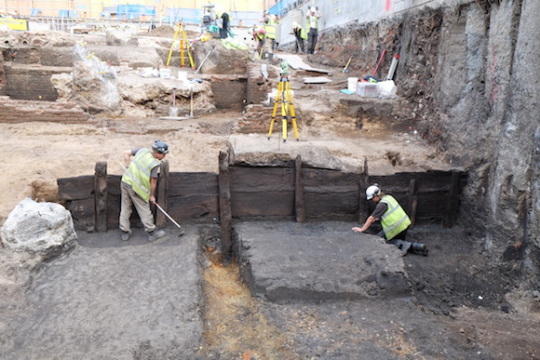 In tracing back the various edges of the City Ditch, a beautiful Post-Medieval timber revetment was found. 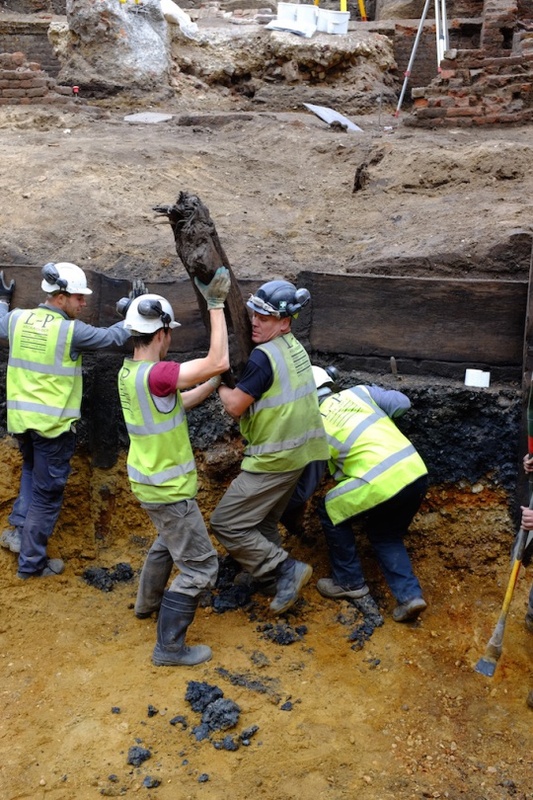 The timbers were in exceptional condition, as a result of the watery environment that enabled its lasting preservation. 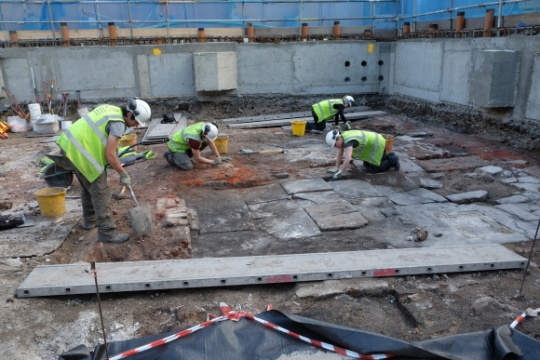 Having been recorded in situ, the timbers were deconstructed to be taken to the L – P : Archaeology unit for preservation, further analysis and sampling. 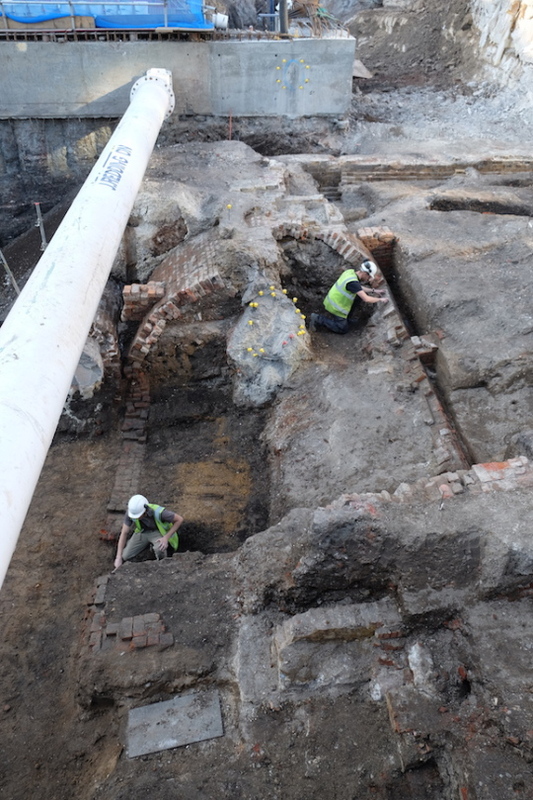 Further east, work starts on a barrel vaulted cellar. 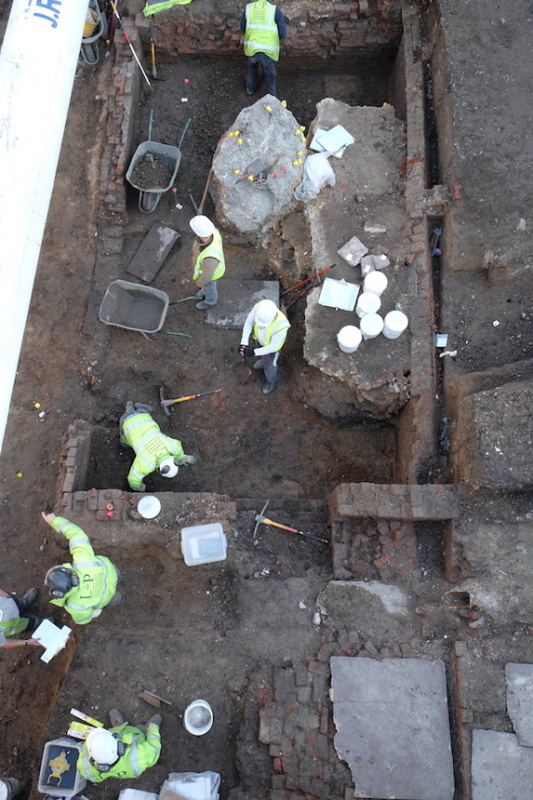 Cleaning up the remains of Georgian and later buildings close to the Minories street frontage, commences at the top of Area C.